One of my best friends stumbled across this mask at TJ Maxx and gifted it to me when it didn’t work well for her skin. One (wo)man’s trash is another’s treasure because my skin LOVES this mask. It makes my skin super soft, like nothing else I’ve ever tried. It also smells amazing like roses, which I love. The entire packaging is in Japanese, but luckily one of my other best friends is from Japan and explained the packaging to me. Like most sleeping masks/packs, you leave this on overnight and you can choose to wash it off or not in the morning. The mask also includes collagen, q10 and is alcohol free. The consistency is creamy with small like flecks of rose in it, and it’s medium thickness. The mask is super moisturizing, which is why it didn’t work well for my buddy’s skin. If you have oily skin/skin prone to breakouts then this mask may be too much for your skin. If your skin is normal to dry like mine, then this is your mask. 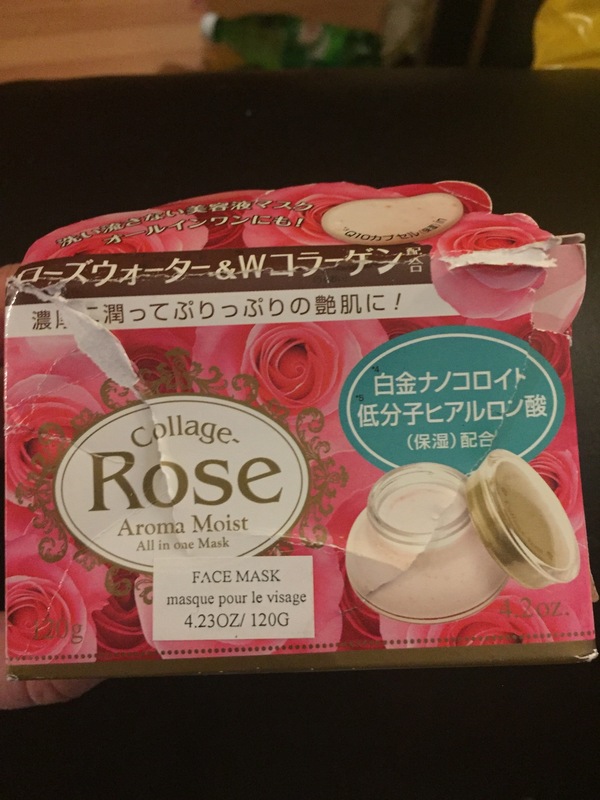 The brand is BCL and the actual name of the mask is Collage Rose Aroma Face Mask. The mask is 120 grams. I popped into H-Mart recently with some friends here in Boston, and I was delighted to see this mask there for when I need to restock. Fingers crossed they continue to restock this item. It was a tad bit more than I paid at TJ Maxx ($12.99 vs. $18.99) but even at that price I highly recommend and would repurchase in a heartbeat. I also found it on the Internet at Yamibuy.com for $17.99 Here. you can use this Affiliate Link for 300 points, or 3 bucks towards your order just for registering. Do you have any rose products you love? How about sleeping packs?